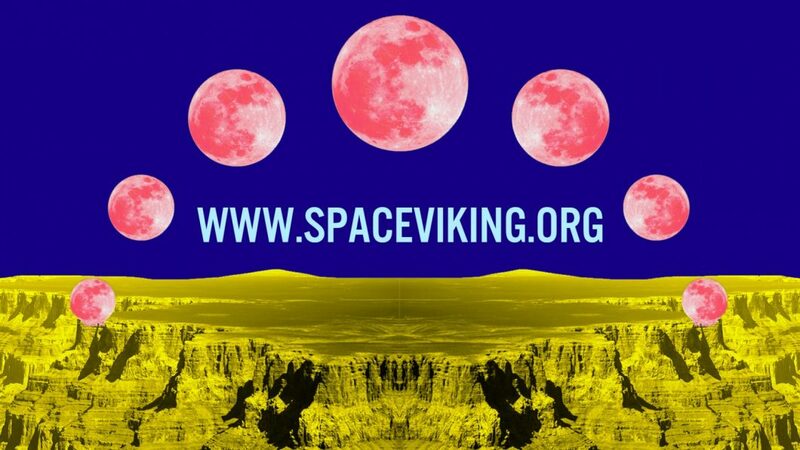 Visit SpaceViking.org to view a series of three videos that introduce you to the courageous Space Viking universe. A Viking Expedition from 11km under the sea to the greatest heights of outer space. An Earth Odyssey for a Space Colonisation. Currently finishing its development phase, “The Life, the Sea and the Space Viking” is Nelly Ben Hayoun Studios and Dartmouth Films latest production. A Space Odyssey and Viking Saga 11km under the sea, documenting a submersible expedition and an encounter with our biological archeology. Merging the fields of astrobiology, terraforming and the research of extremophiles, the project is set for release in 2017. An expedition of uncharted territories, encompassing all scales of science, but also inspiring questions of humanity’s place in the universe, the project explores the science of space colonisation. The project features leading scientists at NASA and the SETI (Search for Extraterrestrial Intelligence) Institute and documents a submersible expedition – as we learn from life on Earth, how to create life on another planet. “The Life, the Sea and the Space Viking” follows NBH Studios latest feature film Disaster Playground. Disaster Playground premiered at SXSW 2015 and was selected as one of the six highlights of SXSW. Prior to Disaster Playground, NBH Studios assembled the International Space Orchestra. The ISO is still up and running at NASA Ames Research Center in California. The feature film about the project was recognized by international critique as a “masterpiece” (ICO), a ‘real achievement’ (DOMUS), “as thrilling as watching a rocket launch” and “Spine Tingling” (Guardian).